What is the use of contact lenses and glasses in diabetic patient? The most common complaint referred to the eye doctor or ophthalmologist is blurring of vision. Diabetes itself is not an absolute contra-indication to contact lens wear to improve their vision. However, good hygienic practice in wearing contact lens is important as in the event of injury, it may take longer to heal and any infections may take longer to clear or heal as compared to non-diabetic patients. 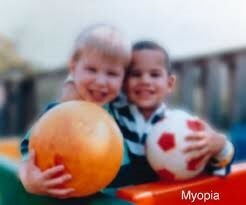 Picture 1: Photo illustrated the typical blurring of vision due to myopia (shortsighted). 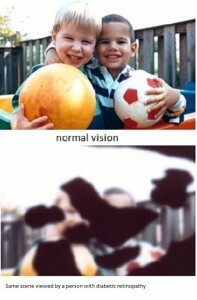 Picture 2: This illustration showed the image which is not improved with the usage of contact lens or glasses. 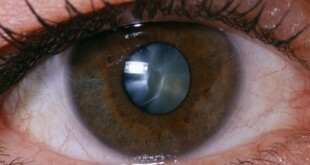 Long-term complications of diabetes mellitus are mainly cataract and diabetic retinopathy. In early stage of cataract, glasses can be used as corrective measure before the cataract operation is indicated. And for those who develop diabetic macula oedema, where the macula (most sensitive area of the retina) is swollen, glasses will help to focus the images sharper for clearer vision. Diabetic patients who had undergone cataract operation with monofocal intraocular lens will require reading glasses for reading and near activities. In conclusion, people who have been diagnosed to have diabetes mellitus need to have their eye examination as they are at risk to develop many eye disorders causing visual impairment which might be able to be corrected with contact lenses (with cautions) and glasses. 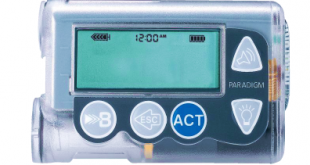 What is the complication of diabetes mellitus to the eye? 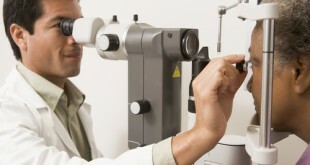 Contact lens can be used to improve vision for diabetic retinopathy.